Former multi-weight king “Sugar” Shane Mosley will be inducted into The Nevada Boxing Hall of Fame on the 18th of this month, and though Mosley achieved plenty as a lightweight (arguably his best weight class, his blinding speed being truly incredible at 135 pounds), it is largely down to his two big wins over superstar Oscar De La Hoya that Mosley is going in. At welterweight, in a classic bout, and up at 154, Mosley decisioned De La Hoya, and to many these wins, the first one in particular, made Mosley a true great. Today, in speaking with Kevin Iole of Yahoo! Sports ahead of his induction, Mosley says that De La Hoya was, in his prime, a better overall fighter than Floyd Mayweather Junior was. As fans know, “Sugar” belted Mayweather with two cracking shots to the head in the second-round of their big fight in 2010, yet was then outboxed for the remaining 12-rounds. But “The Golden Boy” was better than Floyd, right? There is no doubt De La Hoya was a fantastic fighter in his prime years, as a lightweight and as a welterweight, but was he really faster than Mayweather? More powerful yes, but faster? 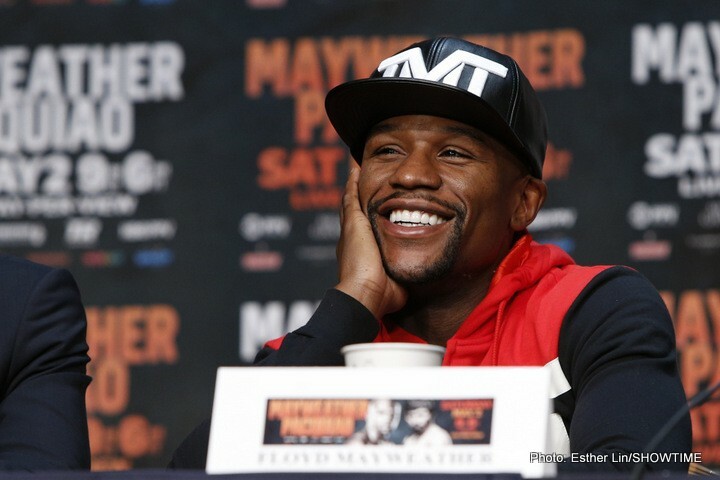 Floyd’s fans are sure to pick Mosley up on that call, right? Still, Mosley, one of the most accomplished fighters of his time, having faced so many great fighters, and so many differing styles, has more than earned the right to call it as he sees it. If Mosley says De La Hoya was a better fighter in his prime than Mayweather was in his, so be it. Previous boxing news: Jarrell Miller vs. Tomasz Adamek likely for October 6 in Chicago – but why?